On the top of the World...: " Family Members Help Each Other"
" Family Members Help Each Other"
Grandpa and Grandma are so jolly. We all are a happy little family. 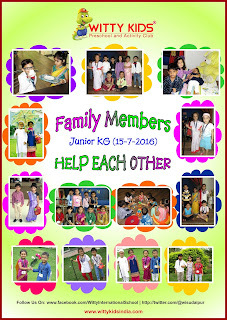 Little Wittians came dressed as Grandfather, Grandmother, Father, Mother, Brother, Sister for the enactment activity. They were told about the importance of family members and how they help each other. Girls who came dressed as Grand Mother tried to narrate stories to the children. 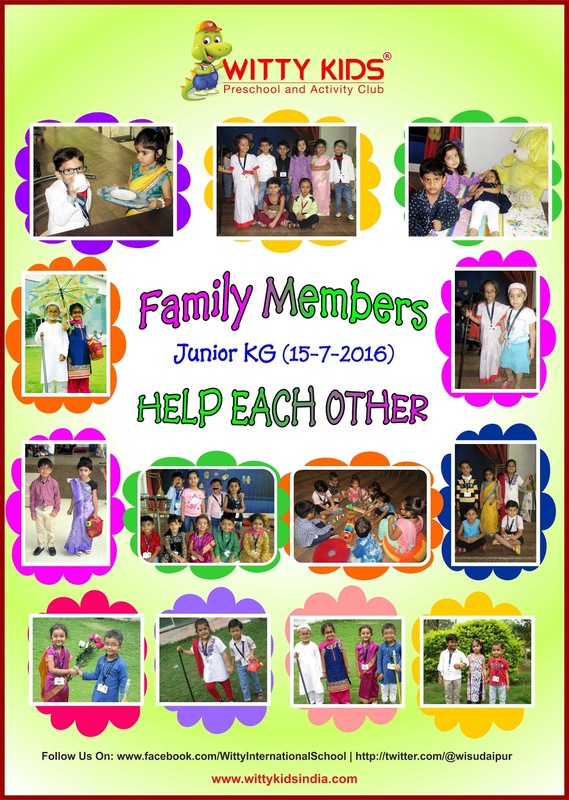 Children enjoyed the activity and tried to speak about their family members. They enjoyed making book marks for their parent.